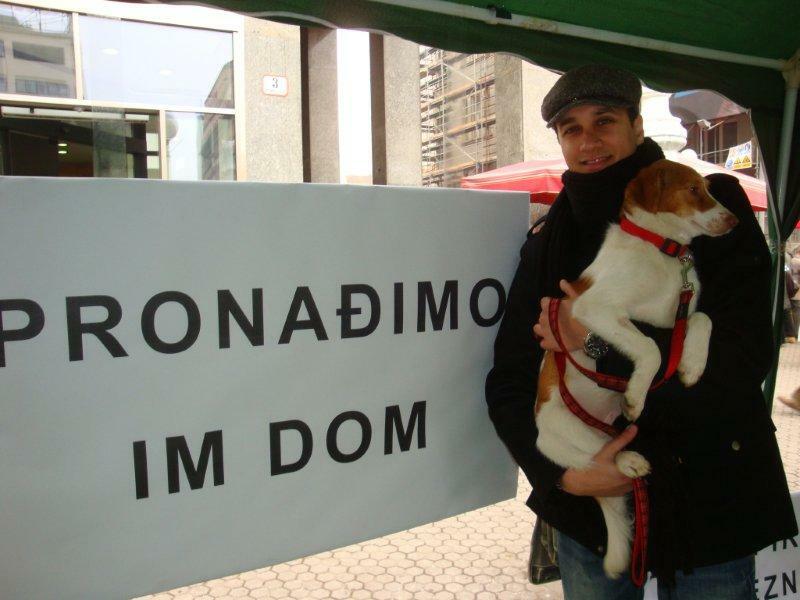 City Office for Agriculture and Forestry of Zagreb, Animal Friends and the Shelter for abandoned animals in Dumovec organize the action "Let's Find Them a Home!" The action "Let's Find Them a Home," organized by the City Office for Agriculture and Forestry of Zagreb, Animal Friends and the Institution Zagreb Zoo – Shelter for abandoned animals in Dumovec, has a goal to encourage citizens to see the problem of animal abandoning and the need for their adoption from the perspective of those who need our help. That is why the misery of abandoned animals and their longing for a warm home and responsible caretakers will be depicted by Pandora, Boa and Dona. 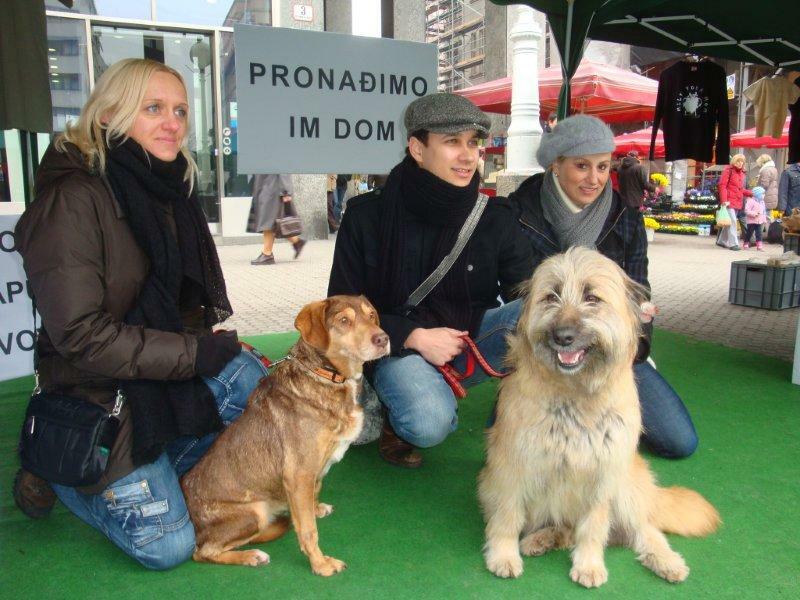 They will be up for adoption from 11 A.M. on Saturday, March 5, 2011, on Trg bana Jelacica and will, as ambassadors of abandoned dogs, warn about the problems of animal abandoning and the importance of their adoption. Marko Tolja, the singer who appeared in the last campaign against animal abandoning with abandoned dogs Vasi and Frki will also support this action by his presence. Vasi was adopted by the radio host Dalibor Petko, who had previously adopted another dog from the Dumovec shelter and who will also join the action "Let's Find Them a Home." Dog ambassadors will invite people to permanently open the gates to their hearts and homes to abandoned animals. 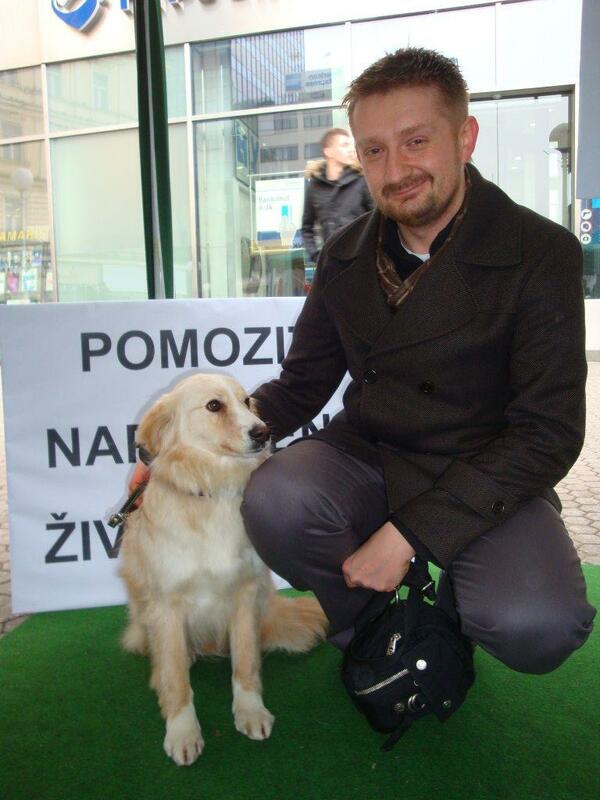 Citizens will be able to get useful information on companion animals and adoption, as well as spaying and neutering and microchipping on our info stalls between 9 A.M. and 2 P.M.
Pandora is a beautiful 7-month-old puppy, cross-bred collie, who was found roaming around the Sesvete area. Even though she had been abandoned, she still has trust in people. She wants people to know that animals are not toys or objects, but sensitive living beings loyal to their caretakers and the human members of their family. 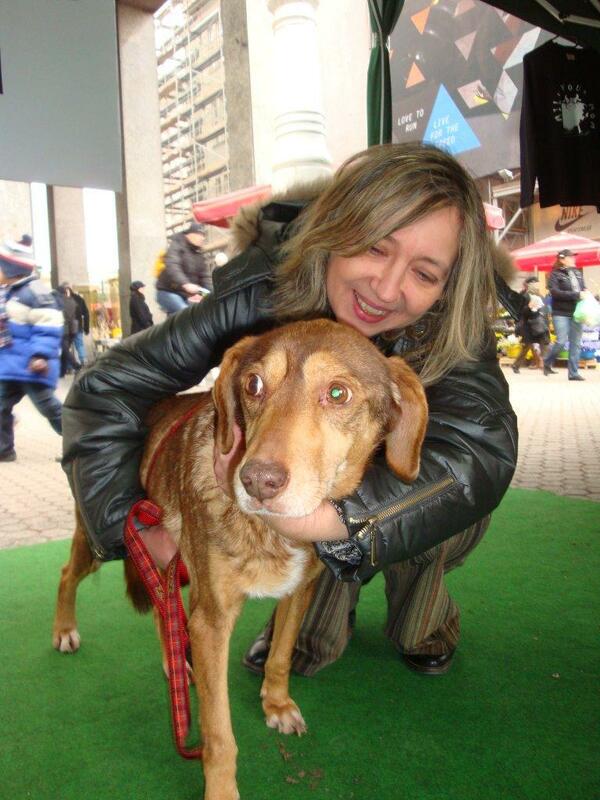 She reminds all citizens that microchipping of dogs is legally required, regardless of their age, so that lost dogs could be easily returned to their caretakers and the abandoned ones given a chance for adoption in a more caring family. Boa is a 2-year-old cross-bred terrier who was taken away because of being held in inadequate conditions. She points out that adoption is a noble cause that brings a new, lifelong friend into a family. Instead of buying animals and supporting the cruel trade of live animals, she encourages citizens to visit the Shelter and provide with a home those who had lost it because of irresponsible people. 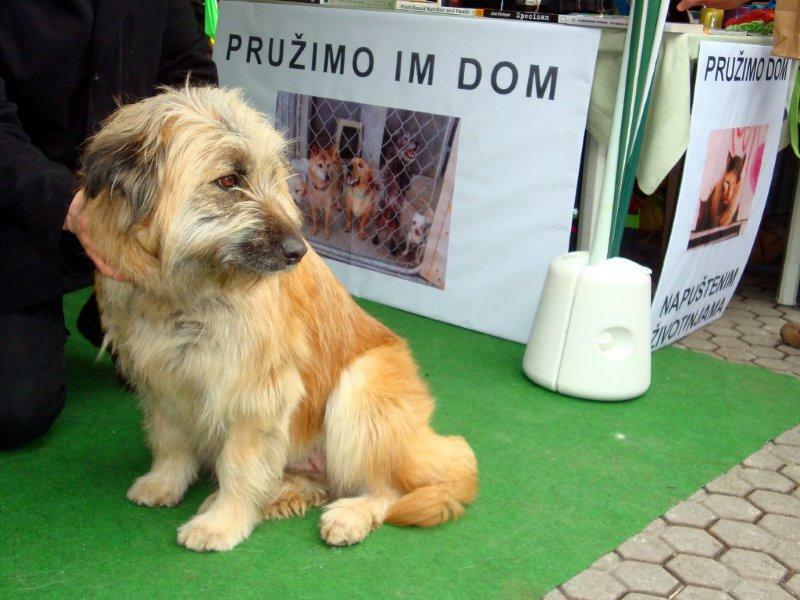 Dona is an 11-year-old cross-bred hound who was abandoned by ruthless people when she was only one year old. She has been in the Shelter from the very beginnings of its work. After ten years spent in a cage, she deserves to spend her old age peacefully, in the warmth of a home. She tells people to castrate the animals under their care, so that numerous unwanted animals who are difficult to adopt would not end up on the streets exposed to various dangers or in overcrowded shelters. Pandora, Boa and Dona are searching for a home for themselves and their dog friends because shelters for abandoned animals are just a temporary solution. Every abandoned animal waits for a permanent home filled with safety and lifelong care. Their life stories send a strong message indeed - the animals cannot be treated as commodities or short-term fun.